Whether you’re looking for a replacement entry door, or a door to open the rear of your house onto a garden or patio area, Win-Dor can offer you a comprehensive range of doors to suit the configuration and style of virtually any home. All of our doors are fully customisable, and can be made to complement our range of windows and conservatories to help you achieve virtually any look you want for your property. Depending on the door’s style and purpose, we can supply you with doors in a range of materials to suit both your aesthetic and performance requirements. 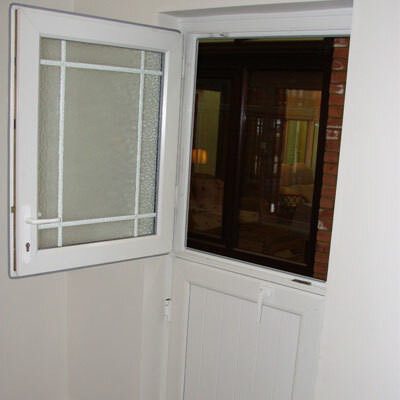 If you want a replacement entrance door, we can provide functional and modern uPVC doors in a range of styles, whilst for those who are more concerned about security and efficiency, we have a wide selection of attractive composite doors. Additionally, we supply our bifold doors in aluminium for improved aesthetics and greater strength. Because of their greater strength, our aluminium doors can also be made with slimmer sightlines so you can benefit from seeing more of the outside and also let in more daylight.